Sauté shrimp in olive oil and add black pepper, sea salt, and garlic powder. In a bowl, mix together cucumber and carrots. In a separate bowl, stir together Greek yogurt, lemon, cayenne pepper, and raw cheddar cheese, until smooth. 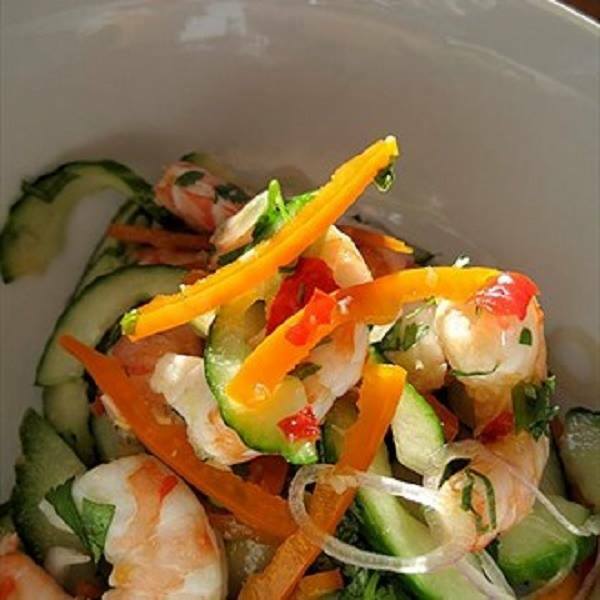 Add shrimp to cucumbers and carrot mix and pour dressing over. Serve chilled.